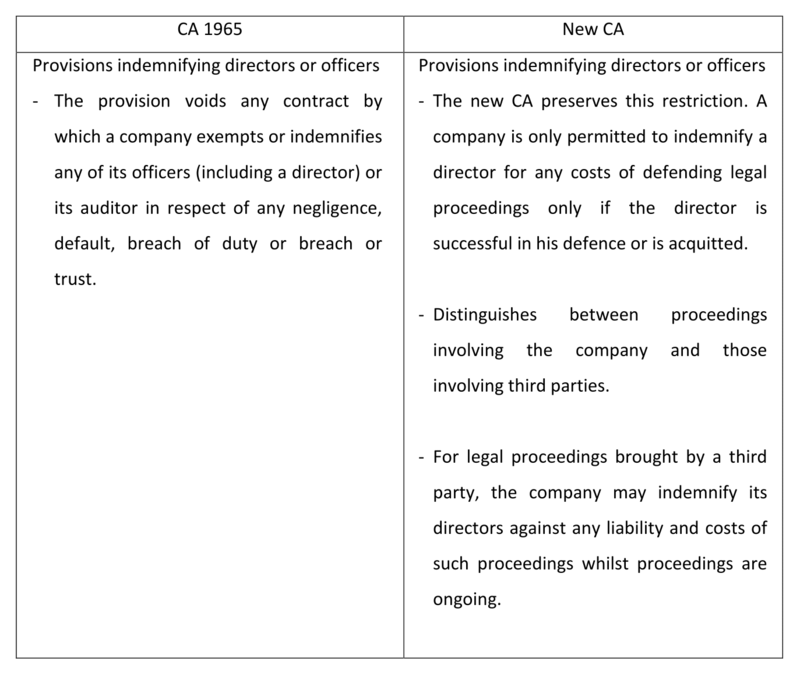 The duties owed by directors to a company comprise those at common law and those stipulated in the new Companies Act 2016 (new CA). 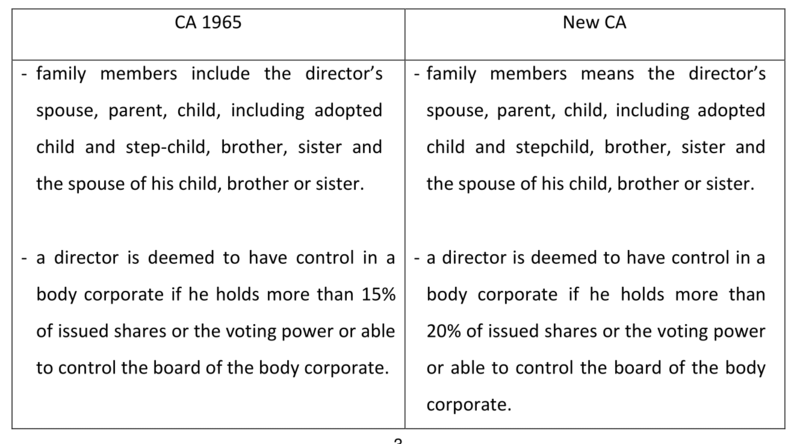 Generally, directors’ duties covers three areas, namely, a statutory duty, a duty of care and a fiduciary duty . 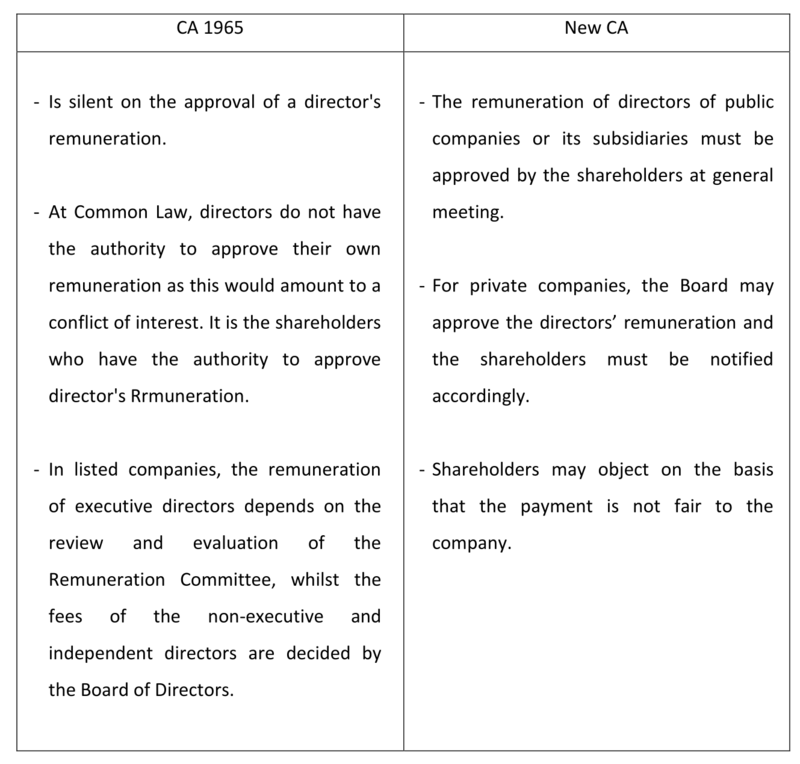 Director's Remuneration approved by shareholders will ensure transparency and promote accountability of directors. 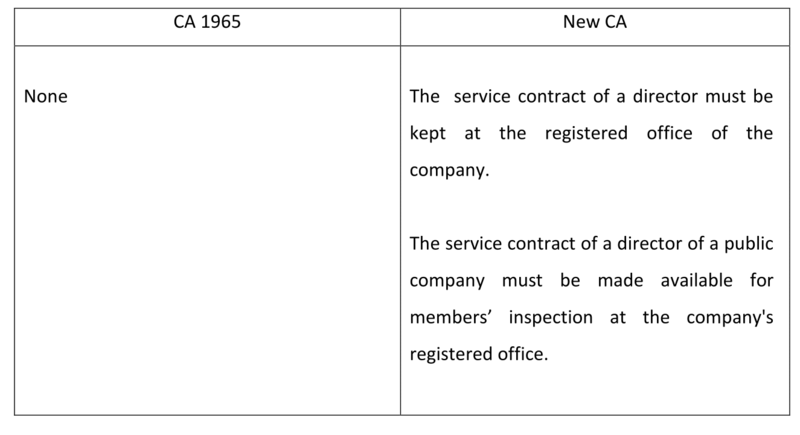 This policy is to facilitate private companies in carrying out transactions involving directors/substantial shareholders and connected persons but at the same time providing adequate safeguard to protect the public interest at large. This policy will ensure transparency and promote accountability of directors. To ensure that transactions between a single member/director company are properly recorded in nsuring that the director of the company remain accountable for the company.